We treat you the way we would like to be treated FAIR. All orders are usually sent within 24 hours. Stem length. AVENSIS - RHD. MK2 Hatch 2.0 Petrol 5 Speed. Vehicle Colour R Front Door. Trim Level Number Of Doors. RAV 4 - RHD. L Front Door. Mk2 1.8 Petrol 5Spd 3 Door 4X2. TRIM LEVEL. EP91 1.3 Petrol 5 Speed 3 Door. STARLET - RHD. R Front Door. TRIM LEVEL. Other Details. Will fit non Hybrid ANH10, MNH10. Removed from a 2003 Alphard ANH10. 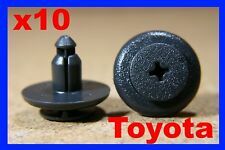 Toyota Hybrid Front Door Cards. P/N 67611 0H010. TOYOTA AYGO BLACK 2007. 5 DOOR HATCHBACK. PAINT CODE - BLACK. The Blue Containers. AJ SPARES is a large independent Vehicle Dismantlers. ENGINE - 5462055 - 1KR. 4 SPEED SEMI AUTOMATIC. 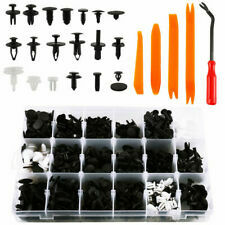 [0.196" (5mm) hole size - Black nylon trim panel & hood seal retaining clip - Qty: 20]. 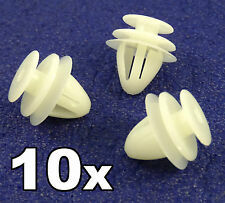 [0.354” (9mm) hole size - Natural nylon door trim panel retainers - Qty: 10]. [0.275" (7mm) hole size - Black nylon hood insulation retaining clip - Qty: 8]. RAV 4 - RHD. L Front Door. 2.0 Petrol 5 Speed 3 Door. Trim Level Other Details Number Of Doors. PART NUMBER - 67640 0D790. TOYOTA YARIS 1.3 LITRE PETROL 2010 MODEL. 5 DOOR HATCH 6SPEED MANUAL. PASSENGER SIDE REAR DOOR CARD. AJ SPARES is a large independent Vehicle Dismantlers. The Blue Containers. AR10 2.2 Diesel 6 Speed Manual. COROLLA VERSO - RHD. Vehicle Colour R Front Door. Trim Level Other Details Number Of Doors. 2011 TOYOTA AURIS. OUR REF: NRDC1297. Taken From The Model:Toyota Prius 1.8 Petrol Hybrid Auto 5 Door Hatchback 2017. Body style5 DOOR HATCHBACK. An item has been previously used. Model version code. Version date from2015-12-01. Version date to. All orders are usually sent within 24 hours. We treat you the way we would like to be treated FAIR. Stem length. TOYOTA AYGO MK2 2014 DRIVERS RIGHT FRONT INNER DOOR HANDLE RELEASE 69205-0D271 VIEW ALL IMAGES FOR ITEM CONDITION - PLEASE ENSURE YOU ARE 100% HAPPY WITH THE ITEM CONDITION PRIOR TO PURCHASE *PLEASE NOTE*: THE COMPATIBILITY TABLE IS FOR REFERENCE ONLY AND NOT A GUARANTEE THE PART WILL FIT YOUR VEHICLE. IF YOU'RE IN DOUBT SPEAK WITH YOUR MECHANIC AND COMPARE THE PART NUMBER (WHERE APPLICABLE) OR CONTACT US BEFORE YOU ORDER TO AVOID UNNECESSARY RETURNS IN THE INSTANCE OF A RETURN - PLEASE BE AWARE ALL OUR ITEMS HAVE THIER OWN SIGNATURE MARKINGS - PLEASE ENSURE ONLY THE ORIGINAL PART IS RETURNED AS WE WILL BE ABLE TO IDENTIFY ANY PART THAT IS NOT OURS. VEHICLE REF: KX17. THIS DOES NOT INCLUDE NI, ROI, HIGHLANDS OR OFFSHORE ISLANDS. 2017 TOYOTA C-HR 1.8 HYBRID AUTO. NEAR SIDE LEFT PASSENGERS REAR DOOR CARD. ALSO BREAKING THE REST OF THIS VEHICLE FOR SPARES. TOYOTA RAV4 MK4 XA40 PASSENGER SIDE REAR LOWER DOOR TRIM MOULDING 75078-42010. And more Check Compatibility above! Stem Length.